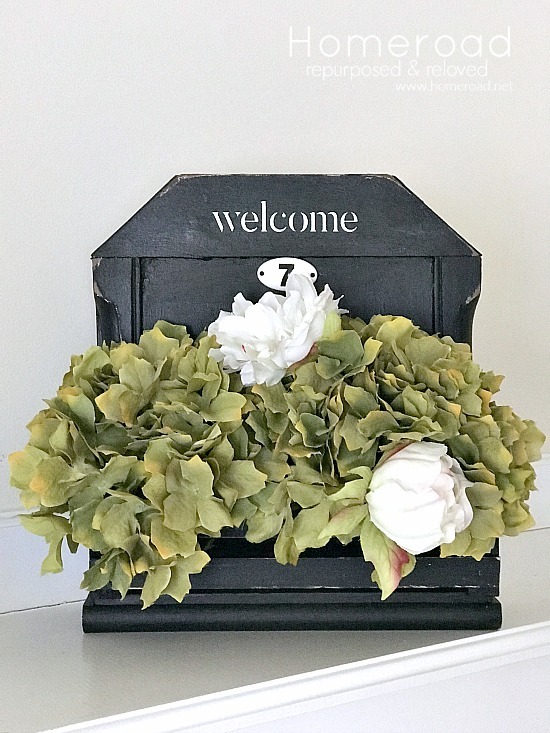 This rustic flower box began life as a photo display. At one time I made it using chippy old leftover wood from the workshop but the time had come to give it a new look. 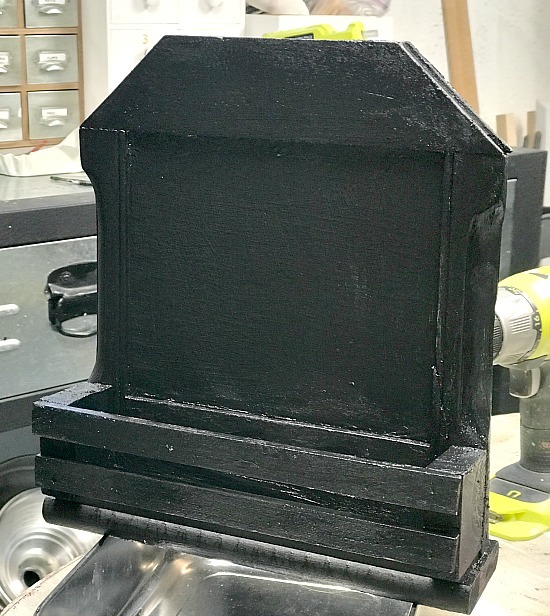 Today I pulled off some of the trim and added half of a crate to the front of the piece. You're going to find the other half of this crate on another project soon! 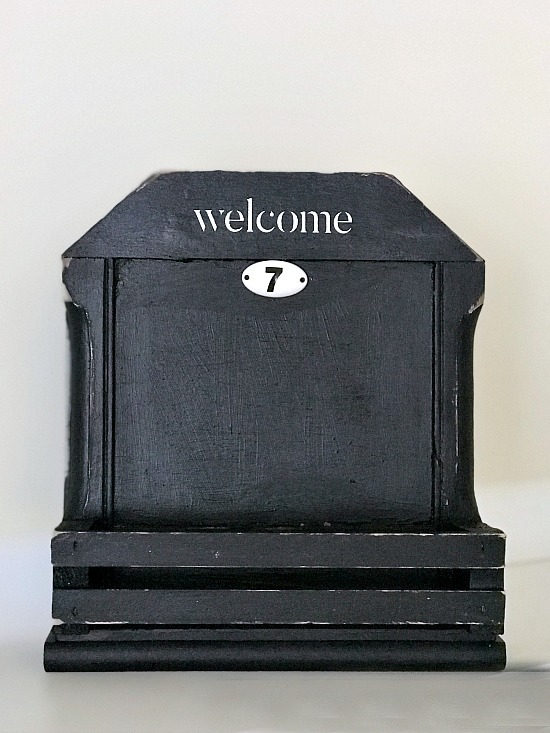 I cut a small slatted, wooden crate in half and attached it with wood glue and nails to the original piece. I gave the whole piece, front, and back, a coat of black paint. 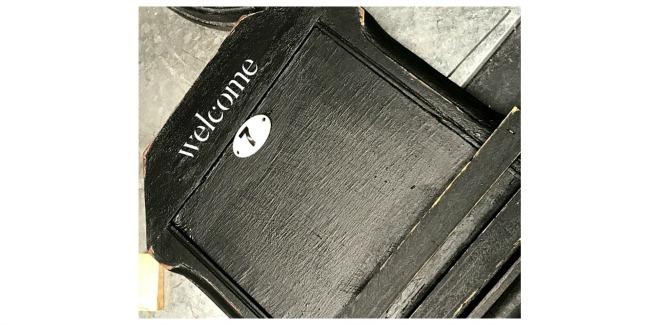 I distressed the edges with sandpaper to make it look worn then added a ceramic letter and the word welcome. 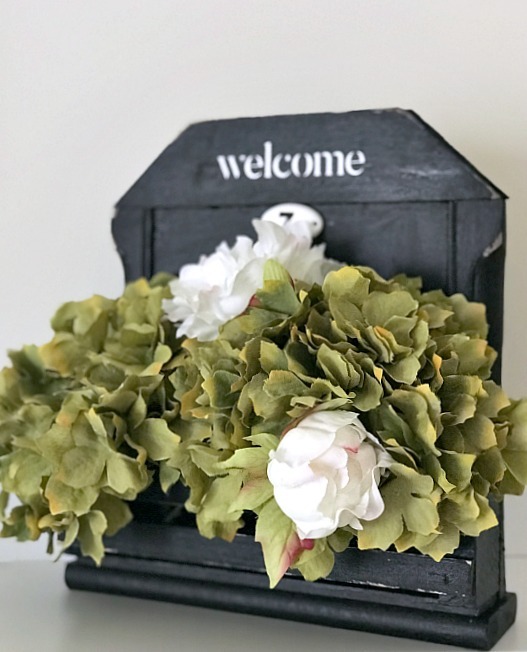 The painted Welcome was added using a Chalk Couture transfer and chalk paste. The only thing left to do was to add flowers. 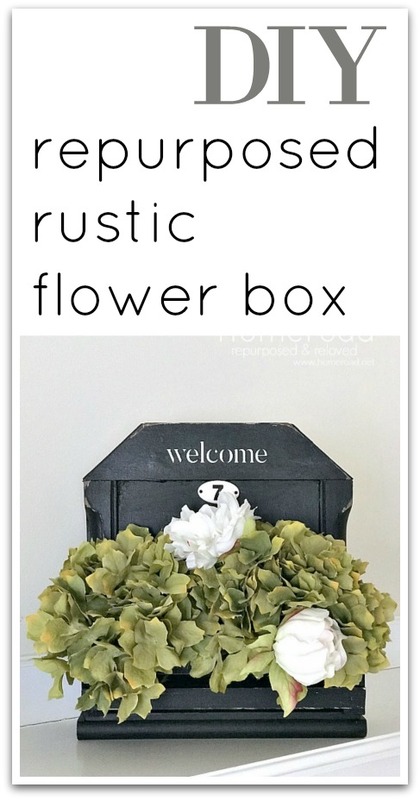 Add real flowers by lining the inside of the crate with plastic and add soil. 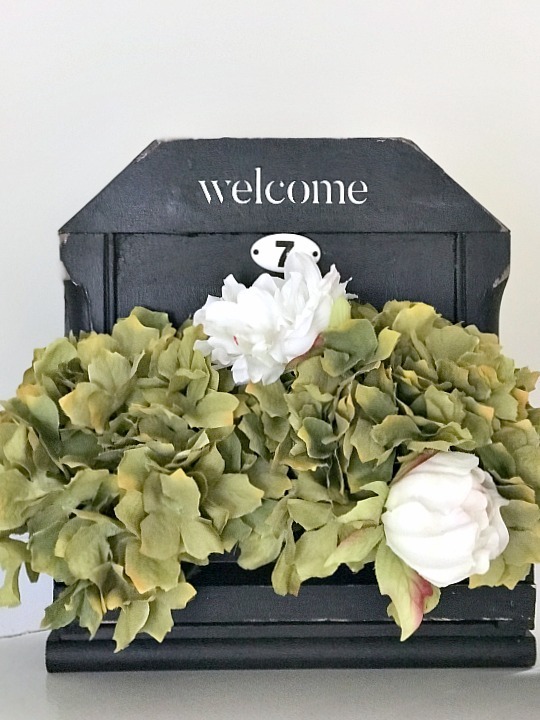 If you don't have a green thumb like me, fill the crate with faux flowers and call it a day. Turn scraps from the workshop into a welcoming flower box. 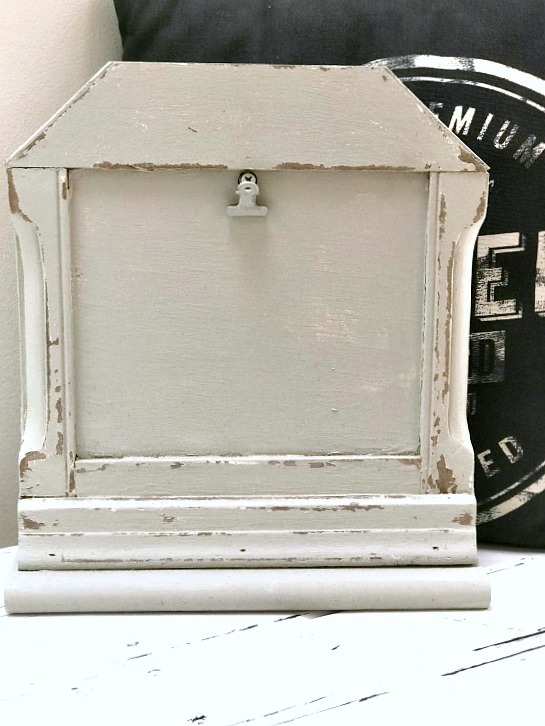 and my latest DIY project will be sent straight to you! Super cute Susan. Glad you are having fun with the Chalk Couture transfers!